Since moving to London, we rarely have a traditional English Sunday roast. In the country we would put a joint of meat into the oven mid-morning, then have the heavenly scent of a slow roasting pork greet us after a long walk across the fields with the dogs. The house seemed always full of hungry teenagers - whereas here it's usually just the two of us. 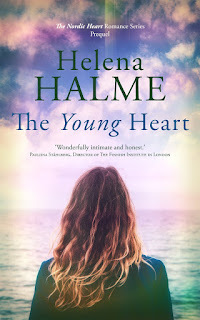 Also here instead of the long lazy Sundays we go to the cinema, or to the pub (or both!) or just have our usual walk on the Heath. Although we are both fond of cooking and love good grub, food seems a secondary consideration here in London. So, our staple, what-shall-we-have-dish has become a risotto. Like tonight, when I am again not feeling very well (remember that small op - it's still making itself felt much to my annoyance), the one thing I really fancy is a good old mushroom risotto. 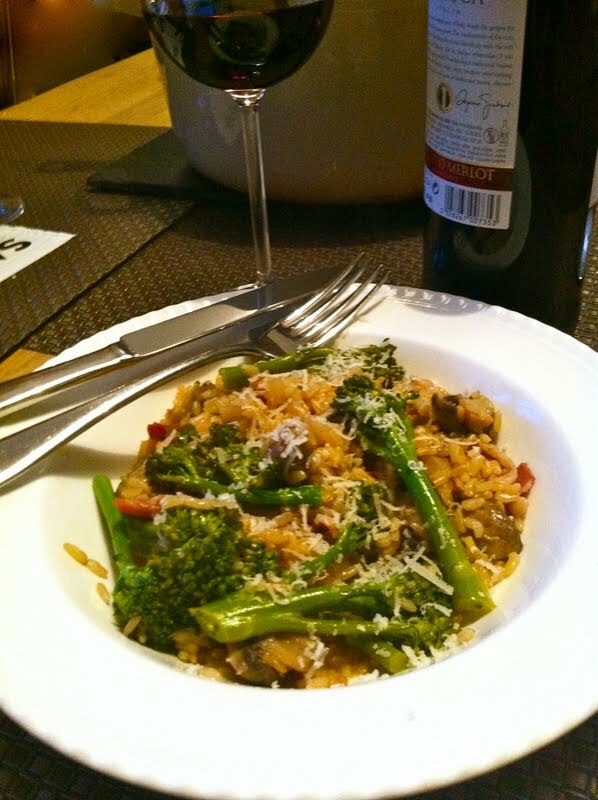 I make several versions of this risotto, but tonight I happened to have all the ingredients for a traditional one combining bacon, thyme and mushrooms with a late addition of 'baby trees' or tender stem broccoli (on offer at Ocado). I like to use brown rice and an easy cook Italian version is perfect. Add mushrooms, quartered. I used button mushrooms today, but almost any will do. Sprinkle over the rice (about 200 grammes) and mix well, making sure nothing is sticking to the bottom of the pan. Fry for a further minute or so, then add a large glass of white wine. 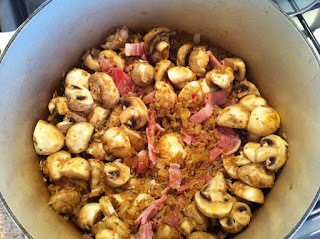 Let the wine boil off, then add stock to cover the rice and mushrooms. If I don't have home-made vegetable or chicken stock, I use the excellent Marigold Swiss Vegetable Bouillon and water. In this case I don't add any more salt because even the low-salt option is pretty salty to my taste. Simmer gently, uncovered, for as long as the rice packet instruction tell you - about half an hour. Add more boiling water from the kettle if needed. You want the risotto to be runny but not watery. Season with black pepper. About 10 minutes from the end of cooking, if using, add the broccoli on top of the rice and cover the dish for 5 minutes (time depending on the side of the broccoli). Hope you enjoy this dish as much as I do - it is the easiest risotto you'll ever make, I promise! Sounds yummy, thanks for sharing the recipe, I will give it a try! You make it seem easy, maybe I'll try it!